Kick start your yoga and meditation journey from here!!! & Brush up your yoga practice here with our Ten Days Yoga retreat in Nepal !!! Take a few days for yourself and have a good guideline of yoga and meditation forever. Nowadays many people want to start yoga but they are confused about how and where to start. 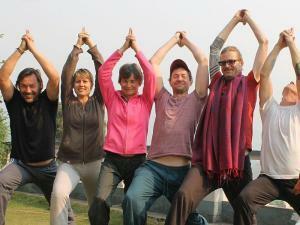 Do not worry, this Ten Days Yoga retreat in Nepal for beginners will be a good guideline for you. This course is especially focused for self healing, self-realization and to show the clear path of yoga and meditation ahead. Our ten day yoga training for beginners is focused to initiate a continuous yoga practice in your life. This Ten Days Yoga retreat in Nepal for program is designed for people who are starting out fresh with yoga or for those who would like to spend a more time on their search of a peaceful mind, a more confident yoga practice and a more focused mediation. This Ten Days Yoga retreat in Nepal is focused on aligning the body and mind awareness by coordinating yoga poses, pranayama (breathing), and meditation. The beginner series can be a great way to start your yoga practice. This Ten Days Yoga retreat in Nepal is suitable for those who are searching for the way to relieve stress, and who want to be fit physically, mentally and spiritually. Many beginners have the problem of how to start and follow yoga and meditation? For this condition Nepal Yoga Home can be a good friend. Most of the people want to continue their yoga practice but they cannot arrange the time to go to a yoga studio. They are more interested in self practice in their house but they do not have enough confidence and knowledge. This Ten Days Yoga retreat in Nepal will provide you an option to practice yoga for few days in a quiet, supportive and peaceful place where you can gain knowledge to continue in your daily life. In this Ten Days Yoga retreat in Nepal teaches new students the fundamentals of yoga and provides a safe and engaging learning environment. We offer our beginner’s yoga retreat courses in Kathmandu Nepal throughout the year. This course is suitable for complete beginners and for anyone looking to brush up on their yoga knowledge. So if you are new to yoga or simply curious, our beginner’s yoga course is a perfect way to get started on your new journey of yoga and meditation. This course leads to a spontaneous lightness of body and mind, natural joy and freedom from stressful life. Even though you are sitting in a group class with different capacities and levels, you will get comfortable variations of the asanas in the same session. By these lessons you will be clear about the beginner’s practice and other level of practice. At the end of the every lesson you can ask questions to the teacher. To build a strong foundation of flexible body and peaceful mind. To be able to keep continue yoga and meditation at home. To cultivates mindfulness in daily life. To reduce distractions, painful attachments and negative thoughts. To remove problems such as stress, stiffness, physical illness, poor breathing habits, and inability to concentrate. To create harmony of body, breath and mind. To build a safe foundation for more advanced postures. What will you learn in Ten Days Yoga retreat in Nepal ? Different yoga styles: Hatha, Sivananda, Ashtanga, Kundalini, Tantra, and Restorative yoga. Understand the importance of your breath and how it relates to the body and mind. Yoga benefits and healing energies, chakras, nadis, etc. Study physical / subtle anatomy / physiology of the body systems. We are teaching according to guests’ requirements and level of practice. Our sample daily schedule is as fallows but it can be change according to topic, teacher, season and circumstance. 12.00 to 2.00 pm Sightseeing, country side hiking etc. 7.30 to 8.30 pm Celebration/ question answer/ camp fire etc. 8.30 pm Time for bed. 9 nights 10 days accommodation. Beginner’s yoga and meditation course. 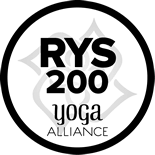 Certification from the renowned Nepal Yoga Home (Yoga Alliance registered yoga school). You will be required to bring a yoga mat if you like (optional), light and comfortable clothing, flash light, mosquito spray in summer season, warm clothes in winter season. Payments are refundable with written notice up to 15 days prior to session start date but registration deposit is non-refundable. After 15 days the money you deposited is not refundable but this money goes to help of needy children in remote areas of Nepal. After the beginning of the course your money will not refunded in any circumstances. You are most welcome in this holy and peaceful place – Nepal Yoga Home.